AEP SWEPCO has been a longtime supporter of United Way. AEP SWEPCO has brought the United Way spirit into five parishes and 10 of their locations across northwest Louisiana. With more than 900 employees to engage, they have managed to ensure that everyone has the opportunity to make their community a better place. Their successful campaign efforts begin each year with a United Way Agency Tour. With nearly 30 employees participating annually, the tour gives them an opportunity to see exactly what their dollars do on a daily basis and inspires them to share stories with their fellow coworkers. A committed Pacesetter for as long as we can remember, AEP SWEPCO has proudly welcomed the United Way team onto their worksites to host presentations about the products and services that can be accessed. And when it comes to volunteerism, AEP SWEPCO is no stranger! 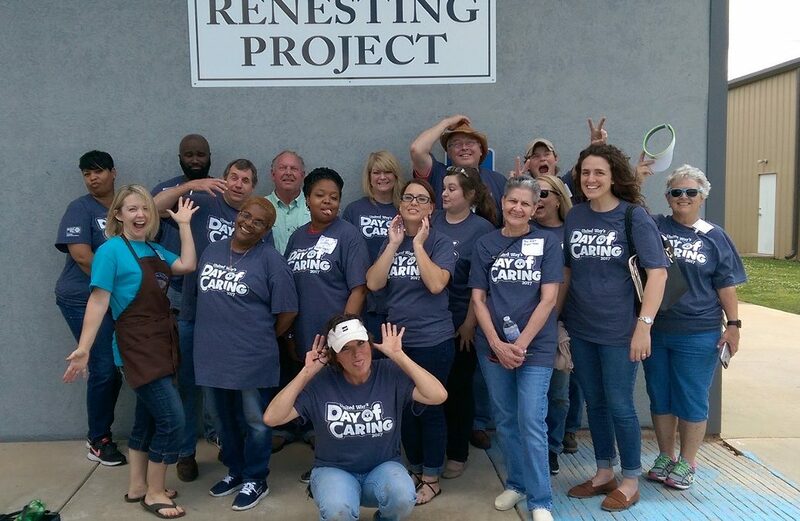 Over the past few years, AEP SWEPCO has graciously loaned United Way over 50 volunteers to assist United Way’s Day of Caring. Each year, these volunteers are given time away from the workplace in order to make our non-profit community stronger. These efforts, of course, would not be possible without admirable leadership who believes in the United Way mission. Jack Andres has been a proud member of our Board of Directors for more than two terms, and is very influential in the planning and implementation of the programs and procedures of United Way. There is no project that AEP SWEPCO employees are not willing to tackle, which is what makes them an excellent community partner in strengthening Northwest Louisiana! Hi Tonja, please call 2-1-1 to get answers about local community programs that assist in this area.